What is a fee only financial planner? Or a fiduciary registered investment advisor? And for that matter, what is the difference between a financial advisor, a financial planner, financial planning and financial wealth management? It’s no wonder people get confused about these terms – there are many, and they’re sometimes used interchangeably. But there are differences between the terms, and we want you to understand them and be clear how Chicory Wealth uses them. Let’s start with the basics: A financial advisor is a more general term than financial planner. A financial advisor offers people or organizations a variety of money-related services and financial guidance. 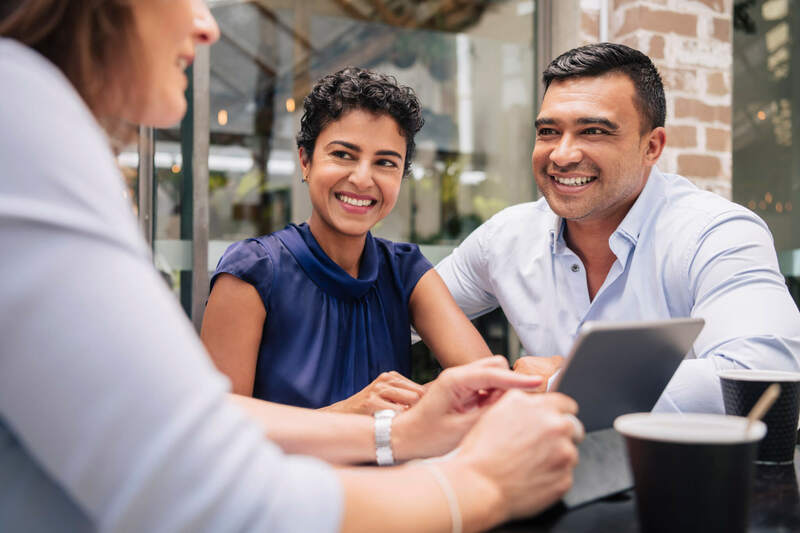 A financial advisor may have a particular focus, such as investing, brokering funds, selling products, helping with taxes, financial planning, or a combination of some of these and more. Different financial advisors offer different financial services. A financial planner is a type of financial advisor specifically trained to help clients with their long-term financial goals. While they might have a focus on retirement, estate planning, investments, or a combination of several areas, the goal is an overall financial plan for the client. Financial planners usually hold licenses or designations. For instance, Chicory Wealth’s CEO, Maggie Kulyk, is a CRPC® or Chartered Retirement Planning Counselor, and Financial Planner Mary Shaltis is a CFP® (Certified Financial Planner), as well as an APMA® (Accredited Portfolio Management Advisor) and a CPA (Certified Public Accountant). Chicory Wealth’s basic service is financial planning – helping clients with their overall financial goals. We like to call it holistic financial life planning because we know that finances can’t be divorced from the other elements of a person’s life. Family, work, play, hobbies, emotions, health – all are affected by finances and vice versa. Part of this financial planning includes financial wealth management, or helping clients decide the best way to invest and protect their wealth or assets, as part of their overall plan. Sometimes we use the term sustainable wealth management, meaning working toward sustaining and managing wealth over the long-term, as well as using and investing money in a way that supports the long term sustainability of our families, communities and the planet. Finally, Chicory Wealth is a fiduciary registered investment advisor. We are an independent company, and as a fiduciary, we are legally required to act in our clients’ best interests. We must avoid conflicts of interest, operate with full transparency, and put our clients first. We have always operated as a fiduciary and welcome and embrace this requirement. Our emphasis is holistic, financial life planning, for which we charge a flat fee, depending on the complexity of the client’s situation. Our minimum fee for this planning is $3500 per year. We analyze insurance needs as part of the financial planning process, but we do not take commissions for insurance or any other products. Also, please ask about our special financial planning option for people under 35. Separate from the financial planning fee, we charge asset management fees per the schedule below. Except for very rare instances, we do not take on asset management clients without first doing financial planning.